Feast and Famine: A Life in Tomatoes – A Word, Please. . . In March my son and I started tomato seeds in trays, sunned them on the kitchen table and watered them through the last cold months. One develops a primordial affection for seedlings—their life connected to one’s own in the promise of food. As weather warmed, we set the babies outside a few hours a day to “harden them off”. We planted 6 cherry tomato seedlings in the garden, and one beefsteak tomato plant purchased from a nursery. By the height of summer, the beefsteak plant had grown 6 feet tall before it toppled under the weight of production, the galvanized cage folding under the strain. The cherry tomato plants were noisy children putting forth tiny fruit at a frenetic pace. The beefsteak? Slow and steady wins the race. When the plants started fruiting I felt a certain panic. We had some luck with herbs— parley, mint, sage, rosemary— and with zucchini (called green squash here). Corn disappointed, but cucumbers thrived. (Did you know they’re prickly?) Tomatoes, on the other hand, led an assault of fecundity. They mocked our “backyard gardener” aspirations. This is serious, their message. You must tend the garden. You must visit, pick the fruit, and then figure out what to do with it. I whittled away a couple pounds by making sun-dried (via the oven) tomatoes, and thought of a college afternoon in Bronxville with my friend, Jennifer, a heavy jar of homemade, sundried tomatoes her mother had sent. We sat on her bed eating them straight out the jar, the first I’d ever had, their flavor sexual in its intensity. A little buck-toothed gouge in a beefsteak tomato warmed my heart. I puzzled over Mr. McGregor’s hostility towards Peter. Rabbits had braved our homicidal Jack Russell and yowling beagle for this garden. I had pleased a wild rabbit. Satisfaction. I shared with rabbits, I shared strawberries with ants, and kale with white butterflies. At the local farm store, where bees and flies attend the outdoor stands, I overheard a man answer his wife, “Well, there are insects all over the vegetables out in the fields.” Yes…even those sanitized, waxed, clean apples in the fridge drawer…they had made acquaintance with all manner of insects and dirt out in the fields. 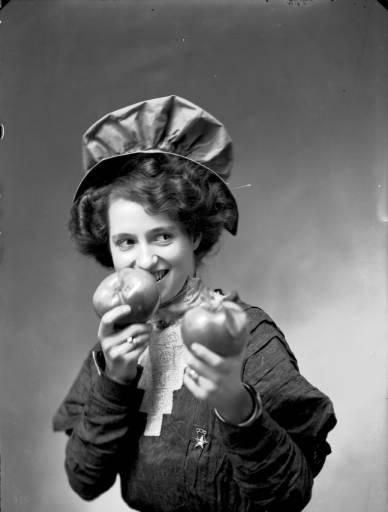 Everything vegetable and fruit we eat was once dirty. Dirt is good. A whirlwind trip to New York City where I had 3 different hostesses meant 3 three boxes of tomatoes, tied with ribbon for presentation’s sake. Because I didn’t eat enough tomatoes. Abundance to me in Scottsdale was other people’s fancy cars, a house in Arcadia, giant diamond rings on the tennis court. Here, abundance is summer’s steadily growing woodpile, food ready for the harvest, endless regeneration. But endlessness, that’s a desert concept. Lately the mornings have been chilly, a few yellow leaves falling here and there and the cherry tomato vines quietly shutting down, obeying the change of season by slumping towards the earth. My outlay: Peacevine OG Cherry Tomato Seeds – $1.40 and I suppose maybe $5 for the larger vine. With the slightest human cooperation, the earth is boundless in her generosity. It’s customary to burn the debris in a tomato patch at the end of the season. Fire destroys pests and bacteria that might overwinter, and adds ash to the soil that will benefit next year’s garden. The plants that worked so hard all summer will soon go up in flames. Ashes to ashes. Dust to dust. Lovely description of your vegetable garden. I can just taste the juicy tomatoes. What a different world than the desert that is my reality. Just drop the plants in and walk away….BOOM. Vegetables. I really enjoyed this piece. The juxtaposition of juicy tomatoes from your garden, that can be both a bounty, and a burden. They proudly represent the season, “Flies on the wall” (or in the bowl) to family life. The beautiful match between your generosity and the symbolic generosity the tomatoes hold. A day in the life, a season, family, close neighbors- distinct concepts, all deliciously sharing and connected to your garden tomatoes. Beautifully written, as always. Thanks, Aly. Eat your vegetables. I live in L.I., NY. I have always been drawn to the tranquilty of upstate life- the farmer’s markets, the little, second hand shops, old, classic books (particularly finding originial or early editions of children’s books), knowing your neighbors, the connectedness of Community, the charm of the houses (I was a big window-looker, too, which started when NM sent off my younger sib and I [starting at ages 5&8] to sleep away camp in Copake, NY.). I should be commenting about interest in “window-life” in your other post. However, after reading your window post, I couldn’t respond right away. It triggered an old feeling I had, that kind of left me, speechless. I hope it is okay I add my reaction here. I haven’t thought about this since reading your article. All that I wanted to say was, as a child of divorce (age 8), having an absent father and a NM, we moved a lot. Home stability, was not a reliable feeling. This led to an increasing fascination with looking at houses, while passing by. A story, always accompanied my observations. Ultimately, my stories about the families who lived in these houses, were different versions of the same idea: these houses had people living inside who were happy, nurtured and secure. So wild to remember this now. It is a memory, that ironically, has a lot of relevance to my life. Particularly, now- 30+ years later…. Swollen legs and weepy a test to the burden of garden bounty. We continue the spring time task only to enjoy the first tastes of the fruits.